At Baby Loves Disco we specialise in making your child’s birthday a day to remember (without the stress for mum & dad!) and also offer a unique and special environment for baby birthdays where large groups of family and friends can celebrate together and the adults get to enjoy themselves as much as the little ones! 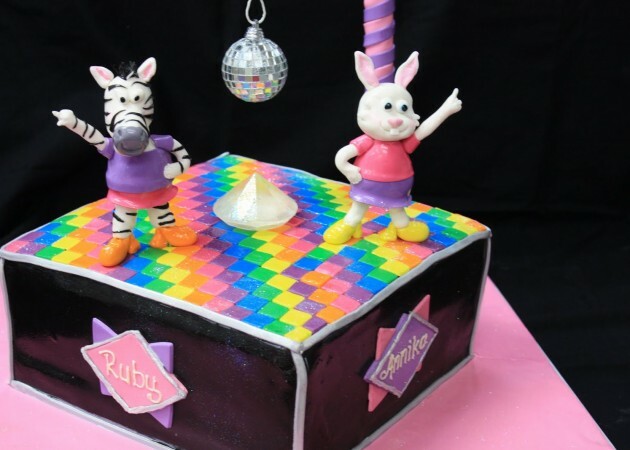 Any families celebrating birthdays at Baby Loves Disco events are welcome to bring a birthday cake (of the standard non-messy hard icing variety please… Fresh cream gateaux, toddlers and discos don’t mix so well!) Our DJ can announce the birthday and play in ‘happy birthday to you’ when you present your cake. Also do let us know in advance if the birthday child has a favourite pop song and we can ensure our DJ has it! For general group bookings or families celebrating baby birthdays, purchase our Family Ticket (valid for any 4 walking people) in multiples, along with extra individual tickets if required. Non walking babies are free and do not need to be included in ticket numbers. Groups should email lesley@babylovesdisco.co.uk to pre-reserve a table/booth to use as a base within the event. Note that this will not be seating for the whole group to sit at the same time as our discos are designed to be sociable standing/dancing/exploring environments for all as opposed to seated events. However having a base, meet point, and somewhere to keep all the coats, drinks, pressies etc. is particularly useful for larger groups so this pre-booking facility is available for anyone booking for 10 people or more (subject to availability at time of booking). For preschooler or reception/primary 1 birthday parties, if booking for 10 children or more we also have our VIP birthday party package. This ticket admits 10 children and also includes an automatic pre-reserved booth or table to use as a base, complimentary tickets for up to 10 accompanying adults, plus birthday extras which vary at each of our venues – see list below. Individual VIP party tickets can be added on to reach the required number (and can be added to the booking at a later date) – these add-on tickets are per child and include the same party extras and an accompanying adult). The VIP Party Package includes a reserved table/booth with party extras including a party bag for every child (containing novelty items aimed at 3-5 year olds). For any further details on this please contact us. VIP package for 10 children £3.75-£4.20 in total added / All other ticket options 95p added. To book a VIP package please contact hayley@babylovesdisco.co.uk for London and Brighton, and lesley@babylovesdisco.co.uk for Edinburgh and all other cities. At present we are only able to offer birthday party packages at events we currently have on sale.